James Cameron is returning to the Terminator franchise for the first time since 1991 when he directed Terminator 2: Judgement Day, a movie that many consider to be one of the best sequels of all time. But now, after 26 years, Cameron is coming back to produce Terminator 6 with Tim Miller (Deadpool) directing. And they're bringing it back to where Cameron left it. According to them, this new Terminator story is going to be a sequel to T2 and will ignore the later, maligned sequels. Terminator 6 is set to arrive in 2019 but doesn't yet have a firm release date. Even though it is going to make the continuity a bit messy, James Cameron says that this is a "continuation" of the first two Terminator movies and that everything else happened in an alternate timeline. Here's what he had to say about it. "This is a continuation of the story from Terminator 1 and Terminator 2. And we're pretending the other films were a bad dream. Or an alternate timeline, which is permissible in our multi-verse. This was really driven more by [Tim] than anybody, surprisingly, because I came in pretty agnostic about where we took it. The only thing I insisted on was that we somehow revamp it and reinvent it for the 21st century." 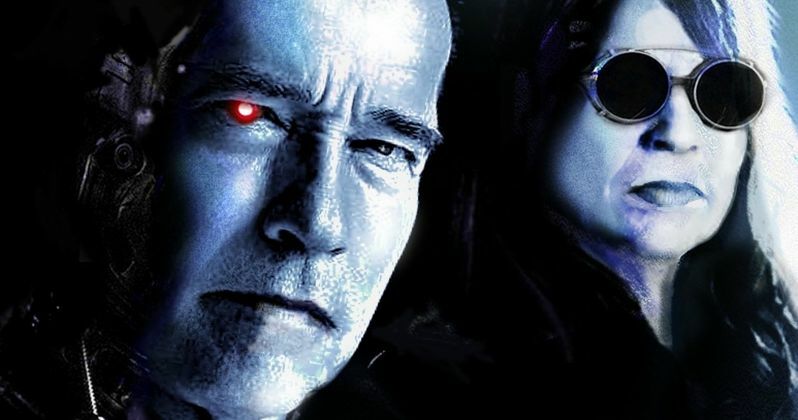 Confusing or not, fans of the franchise are going to love the idea of a Terminator movie that completely ignores Terminator 3, Terminator: Salvation and Terminator: Genisys. Not only that, but in addition to having Arnold Schwarzenegger back, this new Terminator movie is going to bring back Linda Hamilton as Sarah Connor, which is a huge deal. Even without James Cameron directing, that makes this the most genuine movie in the franchise in a long time. As for Tim Miller, he's only directed one movie. Granted, Deadpool was a huge movie, but does Cameron feel any trepidation about handing over the keys to the Terminator franchise? Not at all. "Look, we're both taking a risk. That's the nature of the director-producer relationship. But I feel really confident. We're already about seven or eight months into the creative process, and we haven't killed each other yet. There's been some fur flying, but it's always been for the right reason. I feel Tim's commitment. I feel David's commitment. They feel my commitment. That's it. We're brothers-in-arms at this point." This may be the first we're hearing about much of this, but it sounds like they are already deep into things and they certainly sound like they know where they're going. If all goes well, they are planning to do two more Terminator movies after Terminator 6, making this a brand new trilogy. They are going to introduce some new leads and are currently searching for a young, female lead to take over as the lead of the franchise. Can they pull it off and wash the bad taste of some really bad movies out of our mouths? They're certainly saying the right things and sound like they're off to a good start. The duo spoke with The Hollywood Reporter about Terminator 6 earlier today.